George Soulé - born in Meridian, MS. on November 12, 1945. George Soule, a Mississippi singer, songwriter, drummer, record producer and studio engineer whose name is known and recognized by all music artists from Meridian, MS. and many places around the world. A pivotal talent in the '60s whose love for music brought him together with music artists around the country. 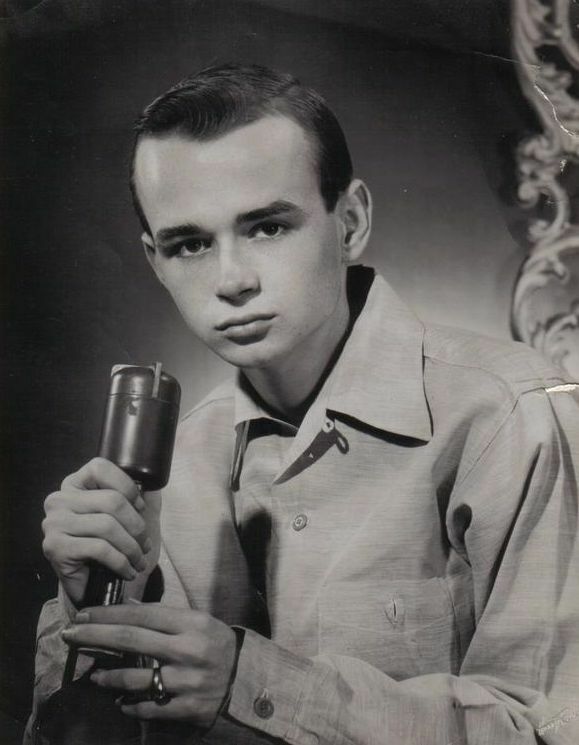 In 1965, Goerge was twenty years old and he already appeared on the pop-music television show, Shindig, along with Ray Charles, and sang a number called "I Love the Way You Love". George signed with Nashville's Acuff-Rose Music in the mid-'60's, and got his first cut, "Someone," recorded by Sue Thompson. 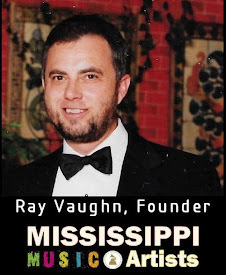 Moving first to the new Malaco Records in Jackson, Miss., and then to Muscle Shoals, Ala., where he worked with producers like Rick Hall and Don Davis, Soulé made his reputation as a songwriter. Often working with Paul Davis or Terry Woodford, he wrote hits for Brook Benton ("Shoes"), Percy Sledge ("I'll Be Your Everything") and Carl Carlton ("Can't Stop a Man in Love"). A good drummer and even better singer, he played on sessions in Jackson and Muscle Shoals, backing up everyone from Willie Nelson to Swamp Dogg. By the time George was twenty years old, he was doing what most of the other music artists from his hometown of Meridian dreamed of doing. When he was not working as a DJ at WOKK Radio, he would drive up to Nashville and go in the back door at Acuff-Rose Record studios and just hang out among music greats like Roy Orbison and Don Gibson. He had met everybody and he was just twenty years old. People often comment on how young Meridian's accomplished music artists were in the '60s and George Soule is no exception to this young group of notable artists. But George is probably much more accomplished than most of the other artists from his hometown. About 1965 I met George Soule at RAP Records where he was helping Bob Reetz produce artists like Rick's Continentals and Paul Davis. At 20, he was already famous around town for his skills as a drummer and for his music accomplishments. George Soule produced Rick And The Continental's 3rd and 4th recording at RAP Records and played drums on both cuts. He was working with Paul Davis at this time and Paul also recorded on both of these cuts for Rick's Continentals. Recently I asked George in an interview what he recorded at RAP Records in Meridian. His answer, nothing. At least not on his own, but George was active at the RAP Records studio and worked with many artists contributing his music skills and knowledge of the recording business. Other artists have recently commented on George Soule's work with their bands. Frank Morris (Paul Davis & The Endless Chain) and Ned Hobgood (Sea Fever) both remember George either writing the music, recording and or producing their work as well as providing genuine advice about their work. Swamp Dogg said this about George: "I love me some George 'Soul' Soulé; a great drummer, superb songwriter and a loyal friend. I have a Brooks O'Dell CD being released on ACE, on which George played all of the drums and wrote a couple of the songs. He may have sung some background. He's a genuine guy." This echos the thoughts and feelings of the music artists in George's hometown of Meridian. A genuine guy and a great musician. During the '60s George would often drop by The King Of Klubs when my band was playing and would sit in on drums or sing a number or two. It was always a pleasure to hear George work and he could play the drums. When George sat in you knew you had a drummer. 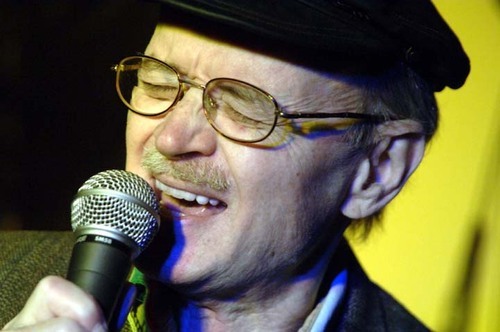 George Soule's songs have been recorded by some of the most successful artists in soul music including Percy Sledge, Carl Carlton, The Temptations and Bobby Womack. In 1973 he had a Top 40 rhythm and blues hit of his own as a solo artist with ‘’Get Involved’’.﻿ He became a DJ at the local WOKK radio station as a teenager and recorded his first discs for Carol Rachou’s La Louisianne and Tamm labels in the mid 60s. In 1972 he sang on a demo by Memphis writer George Jackson called Get Involved originally written with Wilson Pickett in mind. Fame Records owner Rick Hill liked Soulé‘s version so much he recorded George for his own label and the song reached No. 35 in Billboard’s R & B chart the following year, spawning a successful reggae cover version from Freddie McGregor. The song was featured on the nationally syndicated TV show Soul Train and caused a mild sensation when it was realised that George Soulé was a white singer. In 1975 George Soulé joined the Music Mill organisation in Muscle Shoals, writing songs for Arthur Alexander amongst others and operating the studio’s recording process as engineer. He received Country Music’s song of the year award for his engineering and mixing of Narvel Felts hit Reconsider Me. He has contributed to numerous songs that include What I Don’t Know Won’t Hurt Me (William Bell), Catch Me I’m Fallin’ (Esther Phillips), After The Feeling Is Gone (LuLu), We’re Into Something Good (Roy Orbinson) and one of his most successful songs, Can’t Stop A Man In Love recorded by The Temptations, Bobby Womack and by Carl Carlton. In 2004 he was part of the newly formed Country Soul Revue who recorded a CD entitled “Testyfing” for Casual Records and performed with other members of the Revue on stage a year later at London, England’s Barbican Theatre in a highly acclaimed return to performing for the first time in twenty years. He followed this with the first CD in his own name “Take A Ride” for Zane Records which included both new material and also his own interpretations of songs he had written in the 1970s. In 2011 he released ‘Let me be a man’ a collection of archive material from his period with Muscle Shoals Sound Studios. George Soule, one of the great lost voices of blue eyed soul, released his first album in 2007. Recorded in Nashville and produced by Mark Nevers, it’s called Take A Ride and is issued by Zane Records. In a recent interview with Mississippi Music Artists.com, George Soule shared from his music career. George took Eddie Houston to Malaco records. George Soule was the connection between Eddie Houston and Malaco Records and Eddie Houston became known as the first of Malaco’s great ballad singers. When asked about the Lulu connection "After The Feeling Is Gone", Goerge said he never met Lulu. The VP of Atlantic Records, Jerry Wexler chose the song for her. George and Terry Woodford co-wrote the song after George moved to Muscle Shoals. George recalls his most memorable gig as the "It Came From Memphis" show at the Barbican Center in London, 2005 and the biggest artists he performed with was Ray Charles at the 1965 Shindig show. George Soule' is a pivotal character in the history of Southern songwriters who carved an indelible mark in the rich tradition of American music. His distinct, matter-of-fact writing style encompasses a pop sensibility that captures the listener whether its deep soul ballads, floor filling funk or slow-burning country. Like some of his contemporaries - Dan Penn, Eddie Hinton and Terry Woodford - Soule' is renown for his work in Muscle Shoals during the prime of the soul era. George Soule's multi-faceted career in music has spanned more than forty years. In 2004, Jeb Loy Nichols along with Casual, created the Country Soul Revue, an all star group featuring Dan Penn, Donnie Fritts, Tony Joe White, Bonnie Bramlett, and of course, George Soule', backed by members of the Muscle Shoals Swampers, the Muscle Shoals and Memphis Horns. George Soule' today resides in his hometown of Meridian, Mississippi.